For many organisations the use of additional email handling services for compliance (metadata cleansing or advanced archiving) or simply cosmetics (adding email stationary) is a requirement. This How-To provides a quick heads up and signpost to resources that will I hope answer many of your questions. For many SME (Small Medium Enterprise) and even large enterprise customers the challenge of a new set of skills to integrate with Office3365 can be a barrier to adoption of real benefits from this platform. For many scenarios we are dealing with technology professionals who have deep expertise with, or attachment to, on-premise computing for whom this can be a blocker. In fact Office 365 like the majority of Microsoft products is highly interoperable despite what some sectors of the technical community may believe. 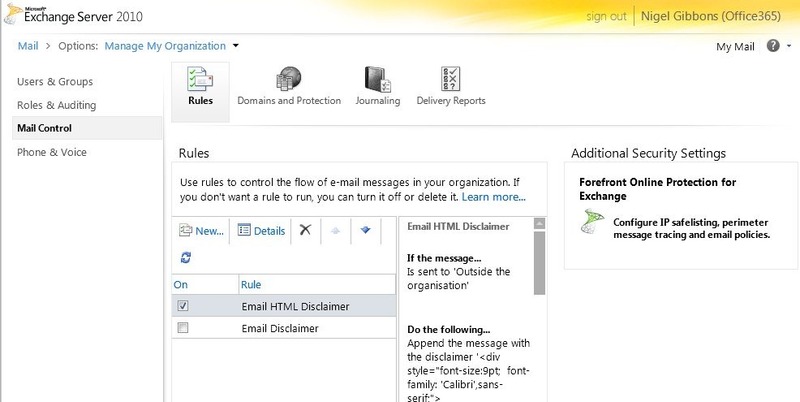 The following focuses on how to enable Advanced Email Flow Scenarios in Microsoft Office365. 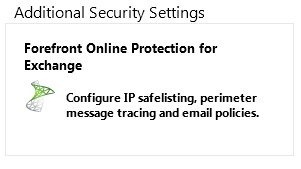 To use FOPE fully the caveat is you have to be subscribed to the Microsoft Office 365 for enterprises, Live@edu, or former Business Productivity Online Suite (BPOS) dedicated cloud hosting service versions of Microsoft Office 365. Remember we are now into Cloud Software as a Service (SaaS) and this is the world of subscription based consumption. As with the genre of Cloud product solution managed service models Microsoft Office 365 has a tiered structure that provides increasing functionality at variable price points. 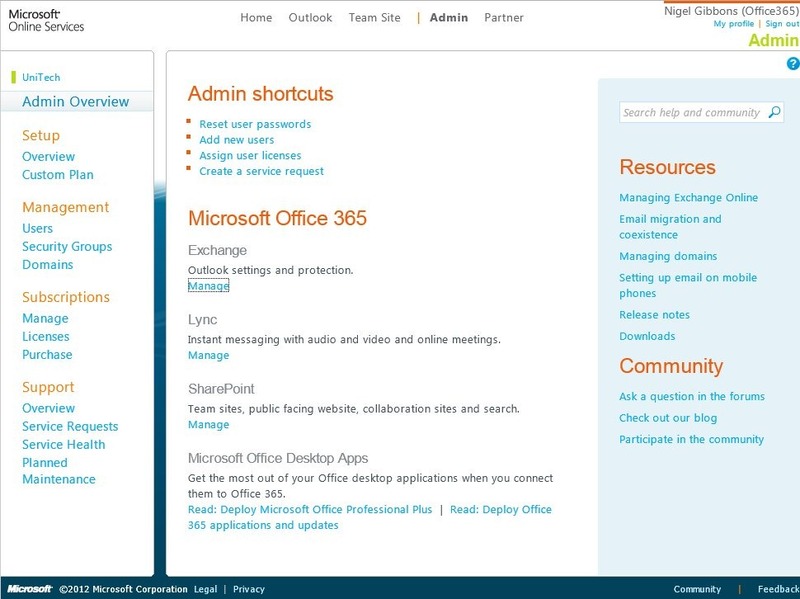 Under the Admin Overview link on the left you will be presented with links in the main window with links to manage Office 365 server systems. Click on the ‘Manage’ link under the Exchange option. 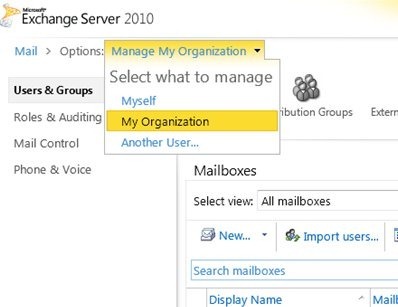 Once you have confirmed you are managing your organisation select ‘Mail Control’ from the left hand menu. Clicking on the link as directed above will take you into the FOPE administrative portal where you have all the glory of the FOPE reporting and administrative tools. Please review the FOPE help is you are not familiar with this environment BEFORE you start making changes. Remember you are on a subscription service now and new features and updates are coming online on a regular basis, please ensure you keep up to date so new features do not impact any external services you may be linking into. ← UK Government – Openly Disconnected! I’ve merely invested the past 3 hrs dealing with this website simply because i found that so intriguing, nevertheless i would like a lot more subject areas on protection.